TOKYO -- Junichiro Hironaka, a lawyer famous for winning extremely rare acquittals in Japan, has been tapped to defend Nissan's former chairman Carlos Ghosn as he battles charges of false financial reporting and breach of trust. The move, confirmed Wednesday by Ghosn and Hironaka's office, underscores Ghosn's determination to prove his innocence. The odds are against him: In Japanese courts, 99 per cent of cases get guilty verdicts. "I look forward to defending myself vigorously, and this represents the beginning of the process of not only establishing my innocence but also shedding light on the circumstances that led to my unjust detention," said Ghosn, who has been held at a detention centre since his arrest on Nov. 19. Motonari Ohtsuru, the lawyer who had initially headed his defence, resigned as of Wednesday. Attorney Hiroshi Kawatsu, an expert in judicial reform who has studied and done research in the U.S., also has joined Ghosn's defence team, Hironaka's office said. 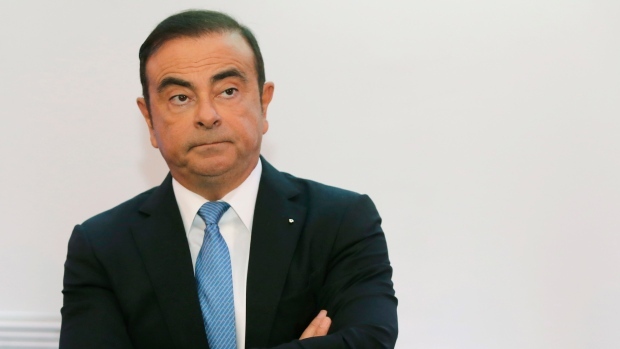 But Ohtsuru and Ghosn have appeared at odds over his defence strategy, with Ghosn strongly asserting his innocence from the start through his own statements, as well as those of his other lawyers, family members and representatives.